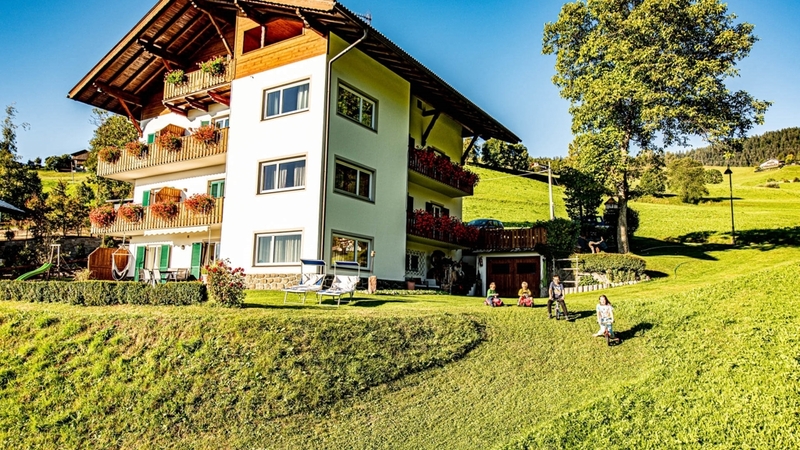 Apartments in the middle of nature in Seis am Schlern, spacious and comfortably furnished with sunny balcony, Wi-Fi connection, garden with children’s playground. 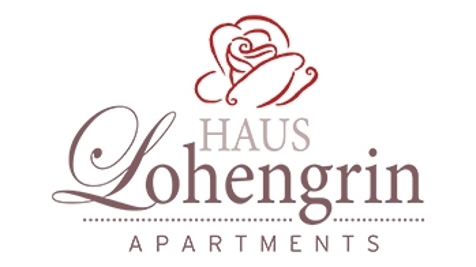 Welcome to Haus Lohengrin in Seis am Schlern! The apartments at guesthouse Lohengrin are situated above Seis am Schlern and are surrounded by green meadows. Our family-friendly house is situated in a quiet and sunny position and offers a dreamlike view over Schlern and Seiser Alm. Guesthouse Lohengrin offers four comfortable apartments for 2-4 persons, which are spacious and equipped with any comfort. They all dispose of at least one sunny balcony with dreamlike view, a comfortable sitting area, a fully equipped kitchenette as well as TV and WLAN. Six day per week, you can enjoy our bread service. Children’s beds and high chairs are available on request. Our small guests are looking forward to much space to play in our garden, to the small playground with swing, slide and sandbox as well as to table tennis on the wonderful terrace. After an adventurous day in the Dolomites and on the high alpine Seiser Alm pasture, you can relax on the sunbeds in the garden. All year round, Seiser Alm holiday region is a paradise for active vacationers, families and nature lovers. In winter, the family-friendly skiing area Seiser Alm awaits you with perfectly prepared slopes. In summer, you will look forward to magnificent hikes, mountain bike tours, fixed-rope routes and much more. With our guest card, you can use all means of public transport for free. Only a few minutes on foot from our apartments, there is a bus stop with shuttles to the Seiser Alm cableway or to the close centre of Seis, which you can also reach within a 10 minutes’ walk.